HOT TANK LIQUID – Heavy Duty is a complex blend of heavy duty alkalis, surfactants and sequestrants in a liquid concentrated form which provides multi functional cleaning and conditioning of ferrous metal surfaces. Under light to medium conditions of rust and scale HOT TANK LIQUID – Heavy Duty will remove these soils without any subsequent acid treatment while simultaneously removing heavy deposits of organic soil such as animal fats and mineral oils and greases. Substantially reduces the use of mineral acids in degreasing – descaling functions. Reduces processing time and labour costs. 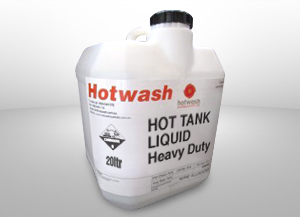 Being liquid HOT TANK LIQUID – Heavy Duty is instantly soluble in water thus eliminating hazards associated with additions of highly alkaline powders to water at high temperatures. 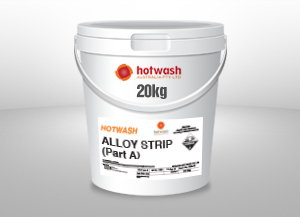 Approved for use in mild steel equipment. Operates at economically low concentrations.